John PROCTOR (1595 -1672) was Alex’s 11th Great Grandfather; one of 4,096 in this generation of the Shaw line. John Proctor was born in 1595 in London, England. He married Martha HARPER 1 Jun 1630 in Groton, Suffolk, England. He sailed on the Susan and Ellen which left London on 14 April 1635 and arrived in New England on 9 May 1635.with his wife, and two children, Mary, aged 1, and 3-year-old John, Jr. John died 11 Oct 1672 in Ipswich, Essex, Mass. Martha Harper was born in 1607 in London, England. Martha died 13 Jun 1659 in Ipswich, Essex, Mass. 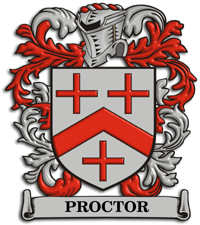 The name “Proctor” is Northern English: it’s an occupational name from the Middle English term prok(e)tour (‘steward’), reduced from the Old French term procurateour, and the Latin procurator (‘agent’, from procurare—‘to manage’). The term was used most commonly of an attorney in a spiritual court, but also of other officials such as collectors of taxes and agents licensed to collect alms on behalf of lepers and enclosed orders of monks. 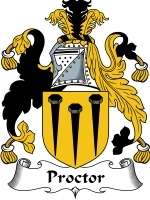 The family Coat of Arms is gold with three black nails; The crest is a red bird. The family motto, “Toujours fidele,” translates as “Always faithful”—which is a rarity for agents. John Proctor Sr. was a prosperous landowner, and “occupied many various offices of trust in the colony. In 1666 William Fellows along with John PROCTOR Sr, jointly purchased a four rod lot with a house on the west corner of Green Street and the Meeting House Green. The double ownership continued during his life, but on Dec 21, 1676, Fellows’ executors bought the Proctor interest from the family heirs.. In the name of god Amen: I John Procter Senr beinge aged & inform in body of sownd understandine & memory (god be praised) doe make & ordaine this my last will & testament in manner & forme followinge,viz. First i give my soul into the hands of god who hath redeemed it by the most precious blood of his deare Son Jesus Christ and my body be desently buried in hope of a happy resurection at the last day. Item. I give my wife fower pownds yearly to be pd in merchantable paye at the price Currant soe long as she Liveth. Item. I give my wife Martha the milk of two cows which She shall choos& every spring. Item. My will is that every year she shall have a good hog of one yeare & halfe old wel fatted & fower bushels of malt & fower bushels of wheate, also I give her the horse that was George Stevensons to be kept for her use both winter & sumer & to be attended as neede doth require, also two yews and there Fleeces & what increeses of them, also I give her the use of the bed and al belonging to it in the parler roome & al the wood she needeth ready split and cut up for herfires, also the comand of al my…….pewter & al this (except onely the fower pownds…….which she shal have dureing her life is to be….shal have soe long as she remaineth a wido…..also my wil &meaning is she shall…..whether she will except of what I doe thus dispose or stand to her dower or thirds wch the law al…..for which she shal take one month to considr of. Also I give Martha Hadly my grand-daughter tenn pownds in mrch….pay to be be paid out the day ofher maridg also I give to Jno Ha……my grandsonn fifty shillings to be pd when his tyme….out with John Davis, also I give to my ffower daughters Martha White, Abigail Varney, Sara Dodge & Hanna Wede five pounds apeece also I do make & apoint my three Sons John Procter, Joseph Procter & Benjamin Procter executors of this my last wil & testament & they are to have my lands & my moveables equaly devided amongst them. In witness hearof I have heare unto Sett my hand this 28th of august 1672. Witness: Samuel Symonds, John Dane junr. Proved in Salem court 28: 9: 1672 by Mr. Samuel Symonds, and the courtwas informed there was something more added verbally to be left to the court’s further consideration. Copy of will and inventory, Essex County Probate Records, vol. 301 pgs6 & 7. Sarah Story and Mary Fellows testified in Ipswich court 24:7:1672 that being at Goodman Procter’s house, they asked him what should be done with his wife’s clothing and he answered that it should be disposed of among his daughters and Martha Hadley, both woolen and linen, also her horse & all the wool that was in the chamber, about one or two pounds. He also said that he had given his son James White one pair of oxen which were not entered in his will. Copy made Oct 3, 1672 by Robert Lord, cleric. The court at Salem 26:4:1673 ordered the above written to be annexed to the will. Essex County Quarterly Court Files, vol. 20, leaf 147. John’s first wife Martha Giddons was born 1635 in Ipswich, Essex, Mass. Martha died 13 Jun 1659 in Ipswich, Essex, Mass. John’s second wife Elizabeth Thorndike was born 1641 in Salem, Essex, Mass. Her parents were John Thorndike and Elizabeth Stratton. Elizabeth died 0 Aug 1672 in Salem, Essex, Mass. John’s third wife Elizabeth Bassett was born 1650 in Lynn, Essex, Mass. Her parents were William Bassett and Sarah Burt. Elizabeth died 19 Aug 1692 in Salem, Essex, Mass. John Proctor Jr. (Wikipedia) was a farmer in 17th Century Massachusetts. He married three women in his life, the first two in which were divorced. The last one he married was Elizabeth Proctor gave birth to three children, of which the third was not yet baptized. During the Salem Witch Trials he was accused of witchcraft,convicted and brought to prison. Weeks later, he was bidden to confess to witchcraft and sign a document to prove it. After signing the document, Proctor wanted to keep the document from being nailed above the door of the Court of Oyer and Terminer. John Proctor was a successful farmer, entrepreneur, and tavern keeper who lived far from Salem Village center, on the edge of Salem Town in what is today Peabody, Mass. He had never been directly involved in Salem Village politics or litigation with the Putnams, but his interests were diametrically opposed to those of the old, established village elite. He had risen to considerable wealth and prestige. But to the Putnams, with their defensive, inflexible outlook, Proctor and his wife remained hated outsiders. John leased his farm from Emanuel Downing, [son of our ancestor George DOWNING] who returned to England in 1656. Proctor ran a tavern out of the same house in Peabody MA . (348 Lowell St.) as had Mr. Downing. John Proctor House — 348 Lowell St. Peabody, Mass. John Proctor, an early opponent of the witch hunt, lived in this house in 1692. One of the afflicted girls, Mary Warren, was a maidservant in his household. Proctor had cured her fits with a good whipping and maintained that the others could be cured with similar treatment. The stream which runs behind the house is known to this day as Proctor Brook. The Proctor house is privately owned. The grant for this farm was originally given to Robert Cole in 1635 by the selectmen of Salem. He sold it to Emanuel Downing in 1638. In 1700 Charles Downing, the son of Sir George, sold the farm to Thorndike Proctor. He was the son of the murdered John Proctor. It remained in the Proctor family until 1851. Then for years it was known as the Roome farm. The Downing/Proctor house still stands at 348 Lowell St. in Peabody. 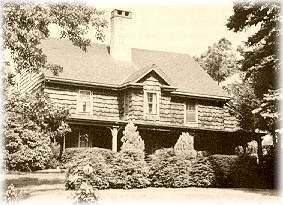 The Saccone family occupied the Downing/Procter house/tavern for twenty years and found early 1700 clay earthenware in the attic. Vincent and Marion Raponi, who bought the house from the Saccone’s, have owned the property for some twenty-odd years now and report having found two British coins dating back to 1740 and 1755. When they started remodeling the house they found three fireplaces and the original wall and ceiling beams which were held in place by wooden pegs. Although farming was his primary business, Proctor’s wife and daughter ran a local tavern on Ipswich Road. Proctor seems to have been an enormous man, very large framed, “impulsive,” with great force and energy. Proctor is described on several occasions, from various sources as a strong-willed beast of a man. Charles Upham writes, “He was a man of Herculean frame…he had great native force and energy…he was bold in his spirit and in his language.” Although an upright man, he seems to have been rash in speech, judgment, and action. It was his unguarded tongue—that would eventually lead to his death. Because Betty Parris, Abigail Williams, and Ann Putnam, Jr. were too young to testify, their accusations had to be endorsed by adults in the village, including Mr. Putnam and other leaders in Salem Village church. John Proctor Jr. – Cenotaph on a bench outside of Burying Point Cemetery, Salem Essex County Massachusetts. The actual location of his body is unknown. It was likely cast off in a ditch, not deserving of a Christian burial due to the witchcraft charge. Although Abigail Williams was John Proctor’s chief accuser, he was also named by Mary Walcott, who stated he tried to choke her and his former servant Mary Warren on April 21. Mary Warren told magistrates that Proctor had beaten her for putting up a prayer bill before forcing her to touch the Devil’s Book. Further allegations of an increasingly salacious nature followed. Hugh Jones, son-in-law of our ancestor John FOSTER Sr. died Salem in 1688 testified against Elizabeth Procter from beyond the grave. The record of his decease of Hugh Jones has not been found, but it may be surmised that he came to a mysterious end, as, during the Salem witchcraft trials in 1692, Elizabeth Booth deposed that the uneasy ghosts of four murdered persons appeared to her; and assured her that Mrs. Elizabeth Proctor was their murderer. John and Elizabeth Proctor were tried on August 5, 1692. They were both found guilty and sentenced to hang. Still maintaining his innocence, Proctor prepared his will but left his wife with nothing. Someassume that he did this as he assumed his wife would be executed as well. 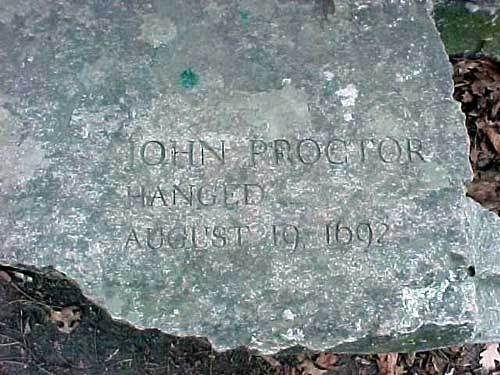 Proctor was executed on August 19, 1692, along with George Burroughs, John Willard, George Jacobs, Sr., Rebecca Nurse (Daughter of our ancestor )and Martha Corey. Elizabeth, since pregnant at the time of her condemnation, she was able to avoid execution at her appointed time, and gave birth to a child two weeks after John’s execution. Thus, her unborn child saved her life. In May of 1693, Govenor Phips pardoned the remaining accused of witchcraft. Although pardoned, she was still a convicted felon in the eyes of the law and barred from claiming any of her husband’s property as a result. On December 17, 1710, 578 pounds and 12 shillings was paid to her in restitution for her husband’s death. In 1692, fourteen complaints were filed; twelve were against relatives of the Proctor family. Only John Proctor, Elizabeth Proctor, and Rebecca Towne aka Rebecca Nurse were convicted, and only John and Rebecca were executed. 1. John Proctor, husband of Elizabeth Bassett aka Elizabeth Proctor and the father of Benjamin, William and Sarah Proctor. 6. Mary Bassett aka Mary DeRich was the sister of Elizabeth Bassett aka Elizabeth Proctor 7. Sarah Hood aka Sarah Bassett was the wife of William Bassett, Jr., Elizabeth’s brother. In January 1693, while still in jail, Elizabeth (Bassett) Proctor gave birth to a son, John Proctor III. Elizabeth and John III remained in jail until May 1693, when a general release freed all of those prisoners who remained jailed. Unfortunately, even though the general belief of the people was that innocent people had been wrongly convicted, Elizabeth had in fact been convicted and was considered guilty. In the eyes of the law she was considered a “dead woman” and could not claim any of her husband’s estate. Elizabeth petitioned the court for a reversal of attainder to restore her legal rights. No action was taken for seven years. June 1696 – Elizabeth filed an appeal to contest her husband’s will. At the time John wrote his will, he had assumed that Elizabeth would be executed and had left her nothing. On September 22, 1696 Elizabeth married again to Daniel Richards. July 1703 – Several more people filed petitions before any action was taken on Elizabeth’s appeal for reversal of attainder. The Massachusetts House of Representatives finally passed a bill disallowing spectral evidence. However, they only gave reversal of attainder for those who had filed petitions. This primarily applied to Elizabeth Proctor. 1705 – Another petition was filed requesting a more equitable settlement for those wrongly accused. In 1709, the General Court received a request to take action on this proposal. In May 1709, 22 people who had been convicted of witchcraft, or whose parents had been convicted of witchcraft, presented the government with a petition in which they demanded both a reversal of attainder and compensation for financial losses. 17 Oct 1711 – The General Shop passed a bill reversing the judgment against the 104 people listed in the 1709 petition. There were still an additional 7 people who had been convicted, but had not signed the petition. There was no reversal of attainder for them. 11 Dec 1711 – Monetary compensation was finally awarded to the 22 people in the 1709 petition. The sum of ₤578 and 12 shillings was authorized to be divided among the survivors and relatives of those accused. Most of the accounts were settled within a year. The award to the Proctor family for Elizabeth was $1500, much more money from the Massachusetts General Court than most families of accused witches. Thorndike Proctor purchased the Groton Farm from the Downings of London, following the hanging of his father. The farm was renamed Downing Farm. 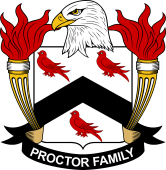 Eight generations of Proctors resided, until 1851. Thorndike subsequently sold nearly half of the Downing Farm to his half-brother Benjamin. By 1957, not all the condemned had been exonerated. Descendants of those falsely accused demanded the General Court clear the names of their family members. In 1957 an act was passed pronouncing the innocence of those accused, however, it only listed Ann Pudeator by name and the others as “certain other persons”, still failing to include all names of those convicted. In 1992, the Danvers Tercentennial Committee persuaded the Massachusetts House of Representatives to issue a resolution honoring those who had died. After much convincing and hard work by Salem school teacher Paula Keene, Representatives J. Michael Ruane and Paul Tirone and a few others, the names of all those not previously listed were added to this resolution. When it was finally signed on October 31, 2001 by Governor Jane Swift, more than 300 years later, all were finally proclaimed innocent. 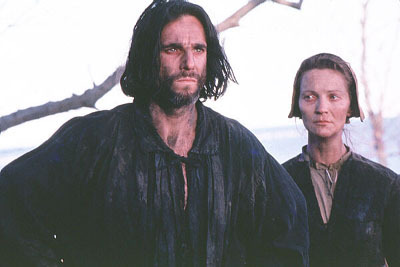 The Crucible by Arthur Miller, a fictionalized version of the trials casts John Proctor as one of the main characters in the play. Proctor is portrayed as being in his thirties and Abigail Williams is 17 and a half years old, while the real John Proctor and Abigail Williams were respectively about sixty and eleven years old at the time of the witch trials. In the play, they had an affair, as a result of which Abigail accused Elizabeth Proctor of witchcraft. In reality, Elizabeth Proctor was initially named by Ann Putnam on March 6, alleging that Proctor’s spectre attacked the girl. She was accused by Abigail on March 14 and further accusations were made by Mercy Lewis. Miller has Mary Warren accuse Proctor of afflicting her but this followed his initial accusation by Abigail in early April 1692. There is no historical evidence to suggest that Abigail even knew John Proctor before she accused him of witchcraft. 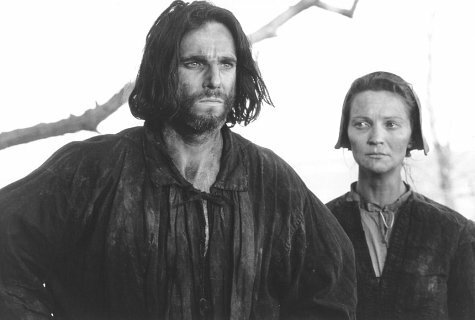 In the 1996 film based on the play, Proctor was played by Daniel Day-Lewis. Elizabeth (Bassett) Proctor (Wikipedia) – (born 1652 in Lynn, Massachusetts) was accused of witchcraft in the Salem Witch Trials. She was the third wife of John Proctor, who went on to remarry after her husband John Proctors death. Part of her life was fictitiously dramatized as part of Arthur Miller‘s play The Crucible and later adaptations. Joseph’s wife Martha Wainwright was born 24 Jun 1658 in Ipswich, Essex, Mass. Her parents were Francis Wainwright and Phillis Sewell. Martha died in 1701 in Southwark Parish, Surry, Virginia. 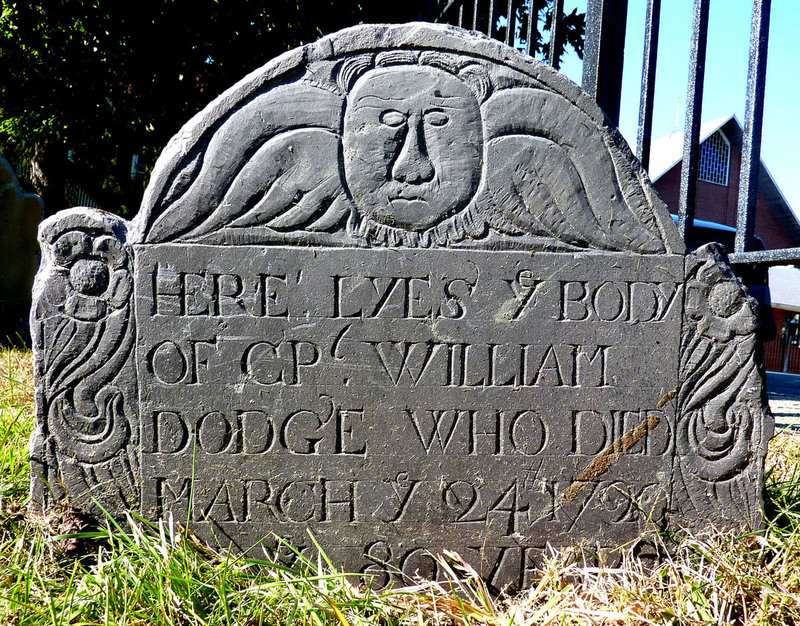 Sarah’s husband William Dodge was born 19 Sep 1640 in Salem, Essex, Mass. His parents were William Dodge and Elizabeth [__?__]. After Sarah died, he married 27 Oct 1698 in Marblehead, Essex, Mas. to Mary Creatty (b. 1638 in Beverly, Mass – d. 1 Feb 1702 in Essex, Mass.) Mary was the widow of John Balch who had drowned in 1662 in a violent storm at Beverly Ferry. Willliam died 24 Mar 1720 in Beverly, Essex, Mass. Abigail’s husband Thomas Varney was born 1630 in Ipswich, Essex, Mass. His parents were William Varney and Bridget Knight. Thomas died 4 Dec 1692 in Ipswich, Essex, Mass. The repurchase appears to have taken place. In the inventory of the estate, even though two other apprentices are mentioned as property, Thomas is not. It would appear that Thomas had only just begun his apprenticeship with Hardy. Benjamin’s wife Deborah Hart was born 1655 in Reading, Middlesex, Mass. Her parents were Isaac Hart and Elizabeth Hutchinson. Deborah died 16 Jun 1710 in Ipswich, Essex, Mass. Martha’s husband James White was born about 1635 in Salem, Essex, Mass. Hannah’s husband [__?__] Weden was born 1645 in Salem, Essex, Mass. He died 1670 in Ipswich, Essex, Mass. This entry was posted in 13th Generation, Artistic Representation, Immigrant - England, Line - Shaw, Tavern Keeper, Wikipedia Famous, Witch Trials and tagged The Crucible, The Susan and Ellen 1635. Bookmark the permalink. I use family coat of arms as a symbol of original immigrant (instead of boring sailing ships) Nine times out of ten, my immigrant forefathers didn’t qualify for a coat of arms at the time. By and large, the aristocracy stayed home where it was comfortable. I don’t remember where I got the coat of description. It’s simply that I peg the generations based on my son Alex who is “Generation Y”, also known as the Millennial Generation. And yes, by going back a few generations, we’re all cousins. Mark! !Thanks for response! VERY interesting of how u have it “organized” The whole thing is interesting!I was looking at it in a diferent way-got it now.Thanks. I’m Carleton Procter, 10 generations down from John Proctor (of the Salem witchtrials). I encourage you all to check out the FREE site- wikitree.com and add all your genealogical info there, as i have. Laurie Mahar-daughter of Mary Proctor? ?Hi, I have Ira Russell Proctor& Harriet E Butler,his parents Josiah Proctor,grandparents..Wanted to see if I could get any help to connect..??? How can I tell which people are indian??abenakie? ?I was told my gram EthelKnight was apache,thru her dad?Ira R Proctor or Harriet Butler her mom.? ?I also have Benjamine Moon.? ?I have others…. Hello, Id like to know how Alex is related to John Proctor,plz.. Thank you..Id like to add the info to my notebook. as in genealogy style,or however..